“What if-woosh, right now, with no explanation-a number of us simply vanished? Would we think it was the Rapture? Would some of us collapse? Would others of us go on, one foot in front of the other, as we did before the world turned upside down.” Tom Perrotta “The Leftovers”. This was the challenge faced by the bewildered citizens of Mapleton, a stereotypical fictitious US small town, in the aftermath of an event known as the Sudden Departure, in which hundreds of ordinary citizens suddenly departed in the middle of living their ordinary lives. Some of the dearly departed were more sinners than saints, to the chagrin of some professional clergy whose response was less than rapturous when they themselves didn’t make the celestial cut and had to stay behind to minister to the undeparted. Kevin Garvey, Mapleton’s new mayor, a former businessman with a new community vocation born of the crisis, tries to bring a sense of renewed hope and purpose to the shattered community. But nothing is the same as before the Sudden Departure -not marriages, not relationships, not friendships. It’s two years last week since the first big seismic event, the 7.1 Greendale quake on 4 September 2010, changed our Cantabrian landscape and our world. In the phony seismic war before the deadly 22 February 2011 quake, we were rather nonchalant about the risk from on-going quakes. The City of Christchurch hosted the Paralympics a month earlier in late January 2011. The sporting festival opened with a parade of athletes, many in wheel chairs, through a central city which had been shaken by the Boxing Day CBD quake just as the post-Christmas sales bonanza was about to kick off. A month later the cathedral spire toppled on the site of the VIP’s marquee which had seated the Prime Minister and other national and international notables at the opening ceremony. Since September 2010 we’ve had 11,965 quakes*, 100 over 4.72 .magnitude* and 14 over 5.5. The frequency is reducing: there have only been 18 quakes over the last 7 days, and the Richter scale severity is also decaying , though with the occasional spike to keep us on our toes. One cult spawned by the Sudden Departure in Mapleton was called the Guilty Remnant, whose members took a vow of silence as they struggled to come to terms with the selective cataclysm and make atonement. Though the central city building which housed our offices has been demolished, on the home front my family is in the guilty minority of those in Christchurch whose houses are now spick and span in the wake of the quakes, touch wood (rough hewn rimu-strong and flexible). Just before the September earthquake anniversary thunderstorm hit Christchurch last Wednesday, accompanied by dazzling meterological pyrotechnics, the multinational team of repairers and decorators that had been working for six weeks on our house finished their work. Until then most of our possessions had been stored in a container swung in precisely by the Peter Fletchers Transport driver over the fence onto the side lawn. We’ve been camping at home with my wife acting as clerk of works and tea lady. The workers left a card thanking her for the latter if not the former. Now the grandfather clock, which came crashing down in the first quake, is restored to pride of place at the front entrance and the cuckoo clock is back on the wall upstairs, no longer mute. In the scale of things our damage was pretty minor, with no land problems because of the lava spur our house sits on at Kennedys Bush 12 kilometres south west of the city centre. We certainly didn’t have high priority needs like many people in east Christchurch and those at the other end of the Port Hills to us. Apart from the more than 20,000 red zoned and vacant houses in the process of being demolished, 27,000 people live in the TC3 category zone requiring detailed land inspection by drilling and, in many cases, new foundations. 400 people still live in badly damaged houses, some families squatting in a single room. With no obvious land damage or structural house damage the make good and makeover at our place was very straightforward and because the damage being well under the EQC $100,000 cap our insurance company wasn’t involved. One or two small things still to sort out but the repairs and renovations, including some extras on our own account, have gone very well and we are very lucky. Given the problems faced by some people it would be unseemly to offer rapturous applause but here’s a quiet nod of approval to EQC, Fletchers Rebuild, Renovation Specialists and the subbies. The stubbies are in the fridge awaiting the final sign off. We’ll invite the workers over to clean them up. There won’t be any Mapleton leftovers. http://www.canterburyquakelive.co.nz/ The two year seismic scorecard. On the eve of Christmas Eve, just when things seemed to be all calm and all bright, the serious jolting started again. Not only shepherds were once again quaking at the sight of the quakes. No seismic Christmas truce here in Christchurch in the demolition trenches but lots of new sink holes- and a sinking feeling. As I write this, at 8am on Christmas Eve, GeoNet has reported 63 earthquakes around the wider Canterbury region over the last 24 hours. * This ended six months of relative calm for the city and will further set back recovery as insurance companies re-start their risk raters. Christchurch residents hoping Christmas celebrations would be a brighter end to a bleak year are instead dealing with more seismic damage to homes, infrastructure and businesses through shaking damage and liquefaction. Two large magnitude earthquakes on Friday heralded the new activity – a Richter 5.8 and a 6.0, the latter being the 4th largest magnitude since the seismic season started here in September 2010. I was upstairs at home for the first 15-20 seconds roller and was out in the garden for the second shorter, but more feisty shock, talking to our Student Job Search gardener who was just describing how he’s seen our whole house jiggle at the earlier quake when we had an even jigglier encore. Our post World War II rough hewn rimu house is obviously very elastic and goes with the flow. It probably also helps that it is sitting on a foundation of crusher dust from the old Halswell Quarry across the road which acts like base isolation. The grandfather clock downstairs and the cuckoo clock upstairs kept going through the first but were stopped dead, but ever to go again, by the second. Once again we were fortunate but a lot of people, especially on the east side of town, were not with power cuts and liquefaction silting up parts of the eastern suburbs for the fifth time in 15 months. * Not the Xmas present they were expecting. There appears to have been a Mercalli migration further east. Most of the recent quakes were centred in faults below Pegasus Bay, off the coast of Christchurch, within 8-21 kilometres of the city centre, and many were less than 10km deep. Whatever the new physical damage from these earthquakes-and there were scores of minor injuries- they have further set back the recovery of the city. Retailers who have struggled to survive were dealt a major blow as stores packed with Christmas shoppers were evacuated. Some face being shut on the busiest trading days of Christmas Eve and Boxing Day. “Essential tremor” is an involuntary trembling that affects millions of people. In October 2008 Eddie Adcock, 70, a bluegrass maestro whose career was being hampered by a hand tremor was asked to pluck his banjo during brain surgery, so surgeons could pinpoint the right part of the brain to work on. During the procedure surgeons prodded and inserted electrodes into his brain to suppress the nerve cells causing his tremors. When the surgeons found the right part of the brain, the plucky Adcock instantly regained his ability and was able to play at full speed once again*. The Canterbury land mass above and below the waterline seems to have developed a chronic case of the sesmic ETs. In this case the geotechnical explorations and explanations can’t by their nature be as precise as Adcock’s half hour. Nor can they give the same instant feedback in any predictive sense, let alone bring about a cure. But most, not so badly affected, will stay and hopefully display the spirit and dogged determination needed by new pioneers. Before this latest blitz about half the commercial buildings in the central city have either already been demolished or are about to be, including our former offices. There could well be some new candidates. This Yuletide in this part of the world it’s just got that much harder to sleep in heavenly peace. But many of us still have a lot to celebrate so best wishes for the festive season, no matter how restive. 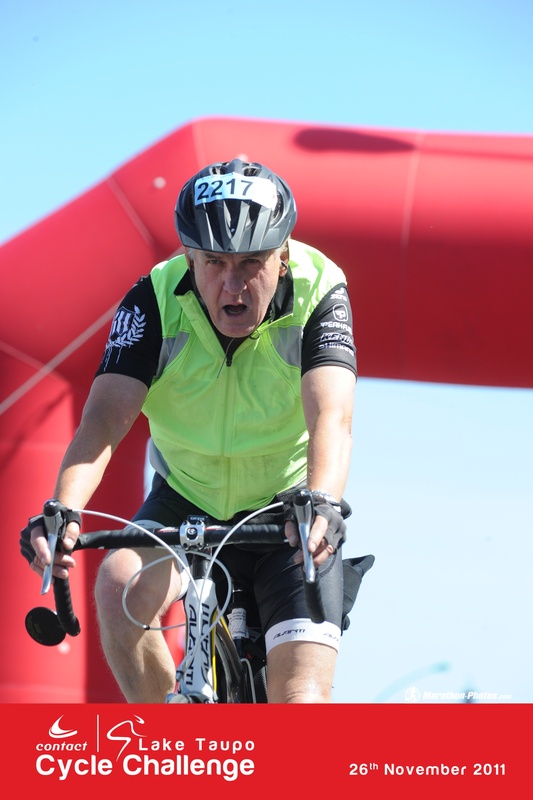 This time last week I was a tortoise on two wheels- definitely not a hare- in the 35th Lake Taupo Cycle Challenge. At least I didn’t turn turtle in the blustery conditions. Quite a few entrants didn’t even start. After a 6am start in the slow pack, my time of 9 hrs 46:57 in the 60-69 years solo 160 k division (I just qualified-it was the day before my 70th birthday) put me 328th in the division but, apart from the timing equipment, who’s counting? It was great just to finish again in the conditions, described as “one of the more difficult rides on record”, in reasonable condition. Three months after my last Taupo outing in 2008, I had two stents inserted after a coronary. My previous three Taupo rides since 2006, once in the 40K relay and twice in the 160k solo ride, were on my old second hand road touring bike which I bought off a departing Swedish cycle tourist who wasn’t murdered in 1991. It came complete with four panier bags for camping gear. For three years I was the only Taupo entrant with paniers and a rear vision mirror. Bikes are built either for speed or for comfort and mine was in the latter category, unlike the emasculatory razor seated road bikes that are de rigueur. First she got me some sporty PB riding gear. Then she persuaded me to get a sleek carbon fibre Cadent* bike from Avanti, Pure Black sponsor, to match the outfit. It’s a speedy machine with a slightly ‘softer’ attitude for riders who want something a little more relaxed. It made all the difference, especially with the wind, and the Geltech cover over the original seat was almost comfortable. I did also add a snappy Vaude clip on under the seat detachable carry bag. I like to be self sufficient and carry more food and water, extra clothes and tools than most, despite the support stations en route, though stories about an on board kitchen sink are calumnies. Pure Black riders were 1st and 2nd over the line. I was 4236th overall so they were probably pleased I wore a high viz. vest over my sporty PB racing shirt. I was also helped this year on the nutrition front by Shane Miller, Gord’s son, a gym instructor and high performance coach from Ottawa. Last time I cramped up 10 times on Hatepe Hill at the 132 k mark. This time nary a twinge after a good balance of protein and pasta and several magic potions during the ride. None would have got Lance Armstrong into trouble. My father Gordon Lukey was a well known long distance cyclist and endurance record holder and all round iron man in the days of gravel roads and no gears. He would have been amused at the hi tech nature of cycle riding today and the fancy fashion and food but he would have applauded the numbers participating. The biblical age is a bit hard to come to grips with, though these days maybe it’s only mature middle age, at least for the fortunate survivors thus far. The big 70 is inevitably accompanied by a bit of philosophical introspection. The old black joke is ”A fatal coronary is nature’s way of saying ‘slow down’. Sadly, just a few weeks ago the old friend I usually stay with when doing Taupo died suddenly while still in top gear in a top corporate job with lots of demanding overseas travel. Earlier in the year he put off accompanying his sister on a cycle tour of France because of the demands of the business. Only three weeks ago, on a Rotary cricket tour of NSW- (geriatrics in pursuit of hattricks-or even a single wicket) – the player in our opponents’ team in the third game, who had just received Man of the Match award, collapsed and died. Sad, but what a way to go. 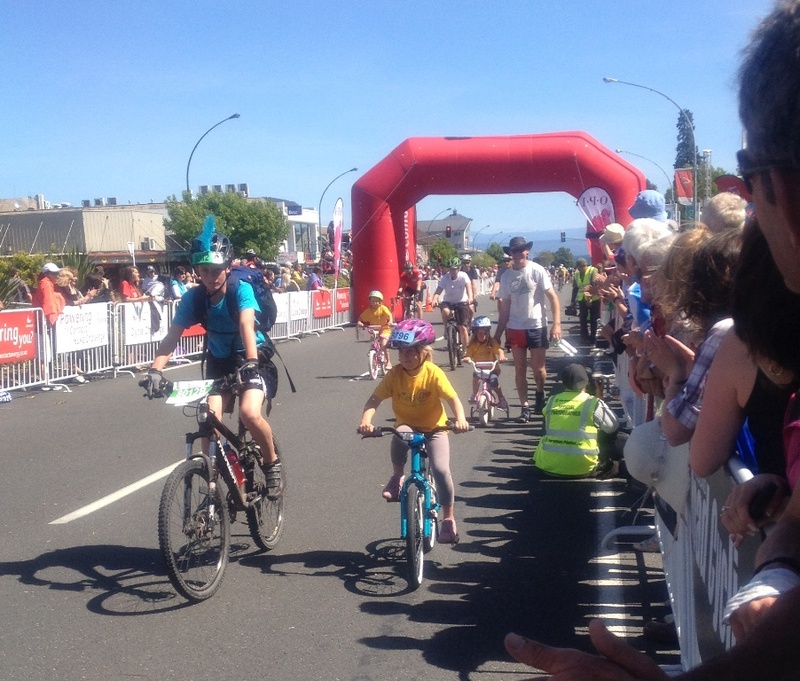 Thanks to those who supported my Heart Kids web page as part of the Taupo Challenge. Overall $57,000 has been raised to date this year-donations open until 31 December-see my HK webpage below*. Alternatively you can txt HEART to 2427 to make a $3 donation. http://www.everydayhero.co.nz/lyall_lukey Make a donation to Heart Kids via web or txt HEART to 2427 to make a $3 donation. You are currently browsing the archives for the Business of living category.